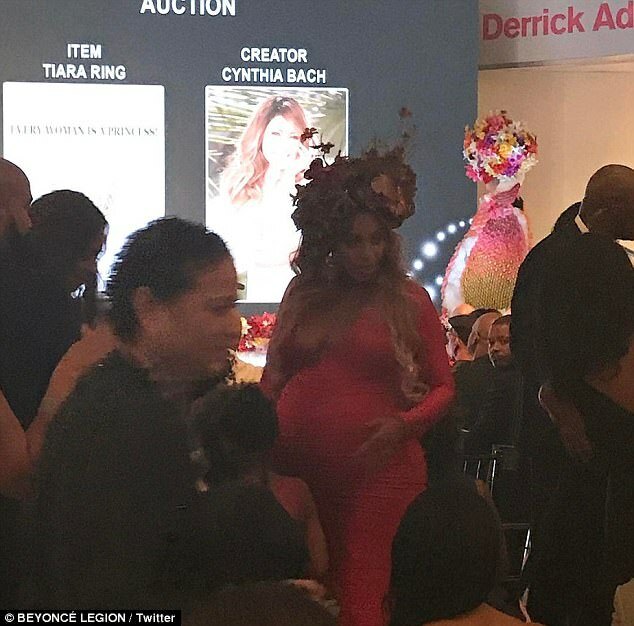 Pregnant Beyonce stunned at the Wearable Acts Gala in Los Angeles on Saturday night. 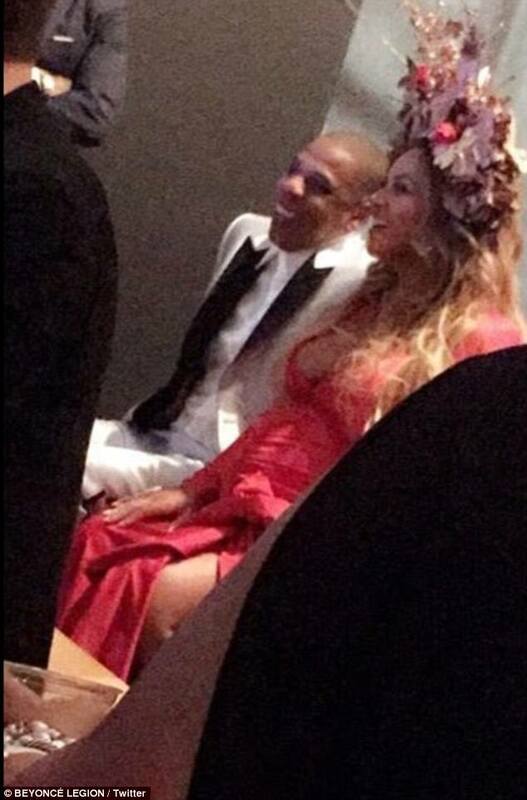 The star and her husband Jay Z skipped the event's red carpet but she shared lovely photos from the event on her website yesterday. The songstress showed off her bump in a plunging figure hugging red dress. The long sleeved dress featured a plunging neckline and was ruched down the front. 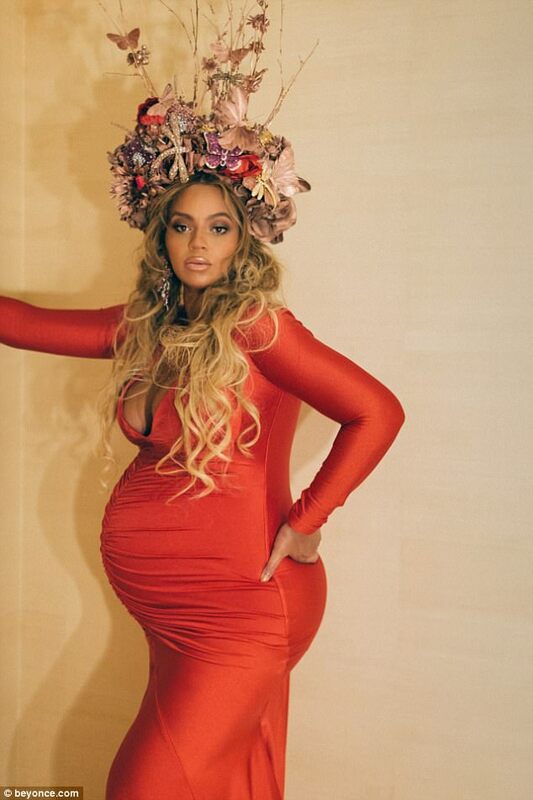 Bey crowned her look with a show stopping crown made of flowers, imitation butterflies and a diamond dragon fly.